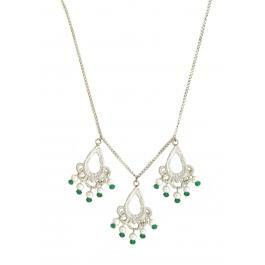 This sterling silver necklace features three paisley drops casted from vintage lace. 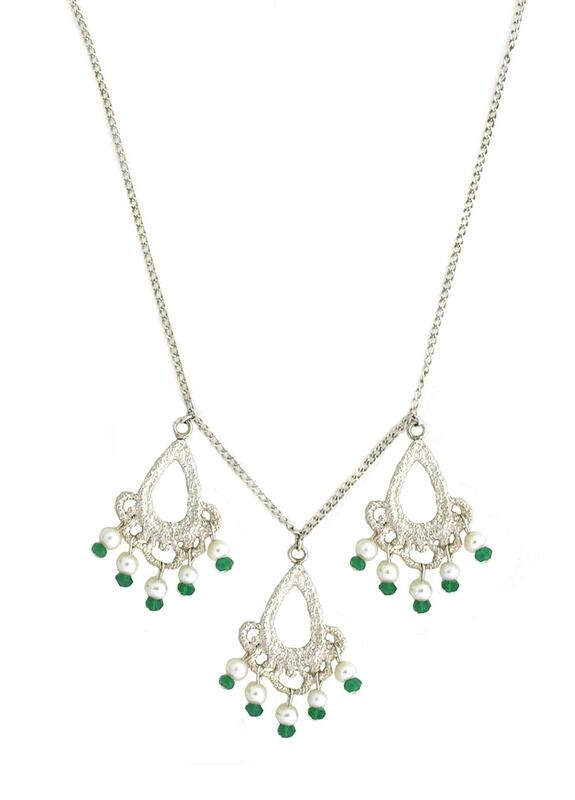 It is also adorned with green onyx and freshwater pearls. It is closed by a lobster clasp and measures 16-18" in length.